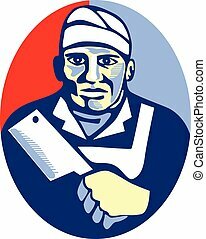 Butcher cutter worker meat cleaver knife retro. 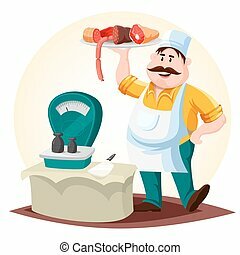 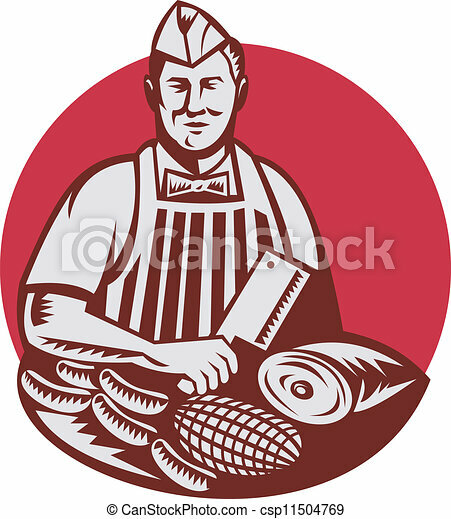 Retro style illustration of a butcher cutter worker with meat cleaver knife facing front set inside circle on isolated background. 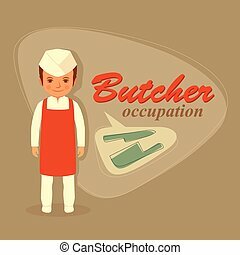 Retro style illustration of a butcher cutter worker with meat cleaver knife facing front set inside circle on isolated background. 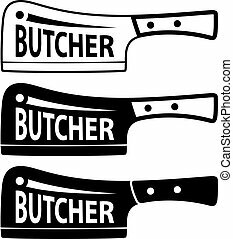 meat cleaver and knife symbols. 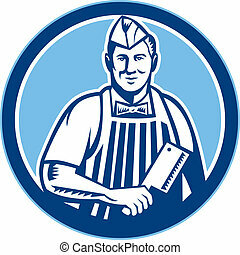 Vintage steak house symbol. 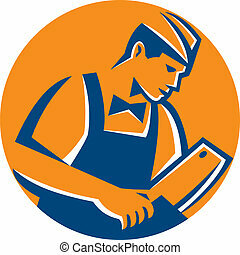 Letterpress effect with sunbursts. 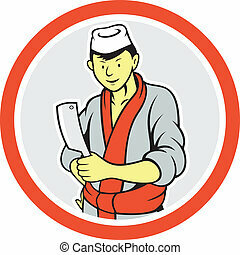 Vector design isolate on retro background. 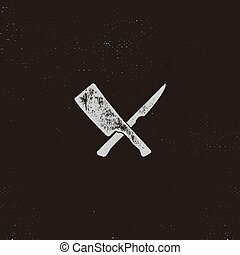 Retro style illustration of a butcher cutter worker with meat cleaver knife facing front set inside diamond on isolated background. 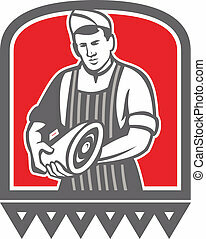 Retro style illustration of a butcher cutter worker with meat cleaver knife facing side set inside circle on isolated background. 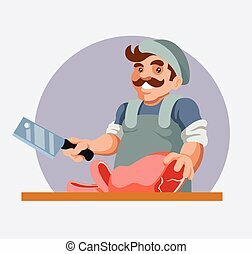 Retro style illustration of a butcher cutter worker holding meat cleaver knife facing front set inside oval shape done in retro style. 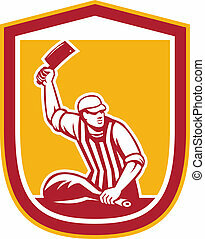 Illustration of a butcher cutter worker holding meat cleaver knife facing side set inside shield crest on isolated background done in retro style. 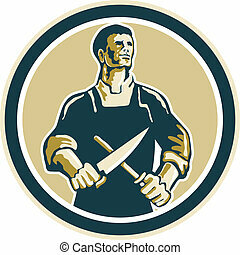 Illustration of a butcher cutter worker sharpening knife set inside circle on isolated background done in retro style. 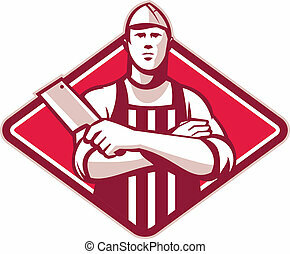 Illustration of a butcher cutter worker with meat cleaver knife facing front set inside shield crest on isolated background. 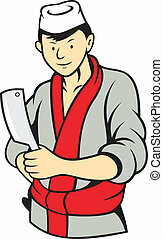 Illustration of a Japanese butcher cutter with meat cleaver knife done in cartoon style. 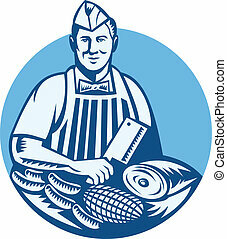 Illustration of a butcher with meat cleaver knife, sausages and meat cuts facing front set inside circle done in retro woodcut style. 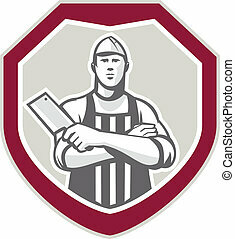 Illustration of a butcher cutter worker holding meat cleaver knife set inside shield crest on isolated background done in cartoon style. 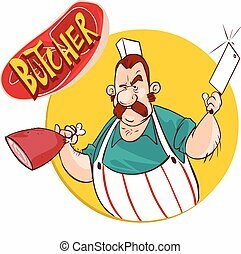 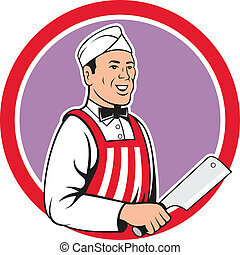 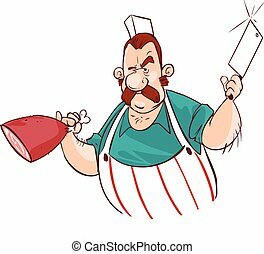 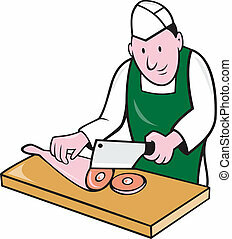 Illustration of a butcher cutter worker with meat cleaver knife facing side set inside circle on isolated background done in cartoon style. 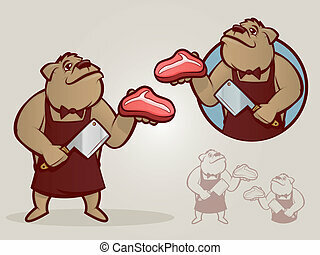 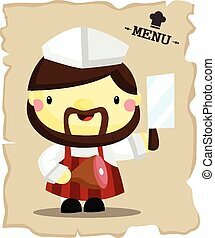 Illustration of a butcher cutter meat worker holding a leg of meat facing front done in retro style on isolated background. 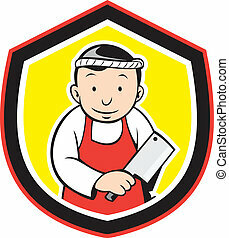 Illustration of a Japanese butcher cutter worker with meat cleaver knife facing side set inside circle on isolated background done in cartoon style. 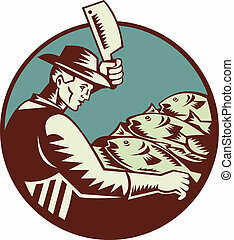 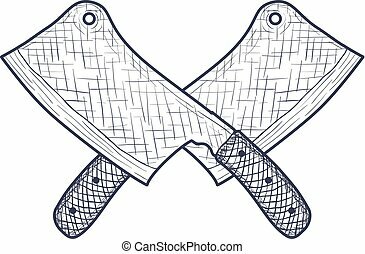 Illustration of a fishmonger butcher with meat cleaver knife chopping fish viewed from side set inside circle done in retro woodcut style. 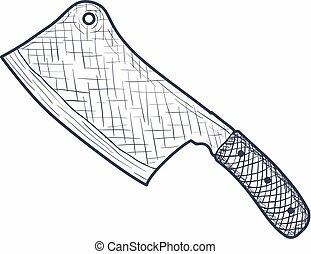 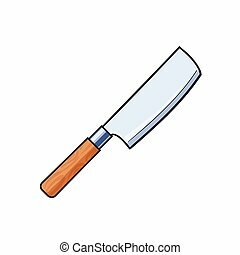 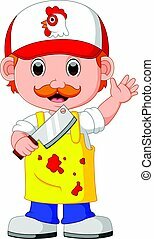 Illustration of a butcher cutter worker with meat cleaver knife chopping leg meat on isolated white background done in cartoon style.